A picture book star is born Diana is struggling in school. She's bored. She can't concentrate. And she really doesn't like math. Diana visits the doctor after her mother receives a call from a concerned school teacher, but the family doctor finds nothing amiss. It's only when Diana hears the soft musical notes filling the psychologist's office that her body begins swaying rhythmically and the correct diagnosis can be made: Diana is a dancer This wonderfully illustrated picture book debut showcases Luciano Lozano's modern yet timeless style, making for a story that readers will want to return to again and again. Elements of diversity woven throughout the story send subtle yet powerful messages of inclusivity and body positivity to young readers. 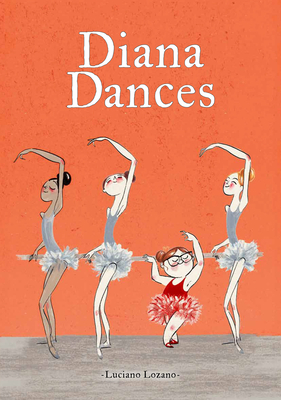 While Diana Dances is sure to resonate with budding dancers, its wonderful tribute to the need for self-expression, the power of movement, and the importance of self-esteem is universal. Diana's joy at finding her creative outlet is infectious, making Lozano's fearless heroine a sure-to-be favorite with children. The verdict is in: Diana is delightful.